Certain parallels between those days and the present obsession with Homeland Security can be pretty scary. 'Deja vu all over again!' (New York Yankees catcher Yogi Berra). Marty Robbins, and Wanda Jackson to fascinating obscurities like The Goldwaters, Janet Greene (The Right Wing's answer to Joan Baez!) and Dr. Strangelove and the Fallouts. A DVD of nine bizarre civil defense and anti-Communist short films from the '50s and '60s. A 292 page hardcover book featuring numerous arresting images from the Cold War era. 67 years ago on August 6, 1945 the world changed forever over the skies of Hiroshima. Incredibly, this epochal event led to all manner of 'atomic' exploitation (Atomic Cocktails anyone ) and pop cultural strangeness (music, film, merchandise, etc.) as Americans tried to absorb the enormity of the horror its government had unleashed upon Japan. 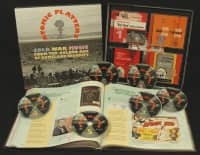 'Atomic Platters' is the result of a years-in-the-making musical 'Manhattan Project' that collects over 100 vintage Cold War songs and more than two dozen frighteningly na've civil defense Public Service Announcements (many of these PSAs are voiced by celebrities such as Groucho Marx, Bob Hope, Pat Boone and Johnny Cash, to name just a few!) from the paranoid period that brought us fallout shelters, survival biscuits and uranium fever. 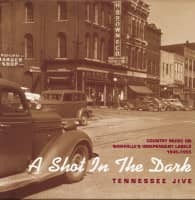 The artists who sing about the Bomb and the Red Scare on this set run the gamut from well-known stars like Bill Haley and His Comets, The Louvin Brothers, Marty Robbins and Wanda Jackson to fascinating obscurities like The Goldwaters, Janet Greene (The Right Wing's answer to Joan Baez!) and Dr. Strangelove and the Fallouts. 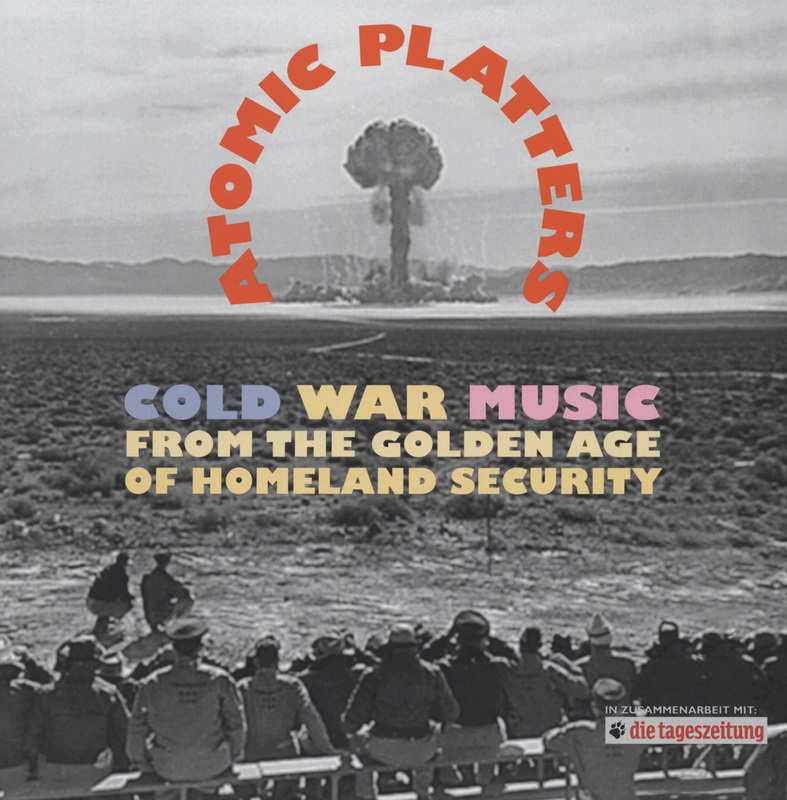 In addition to music and PSAs, 'Atomic Platters' includes two unintentionally hilarious full-length spoken word civil defense 'scare' LPs: If The Bomb Falls and The Complacent Americans. 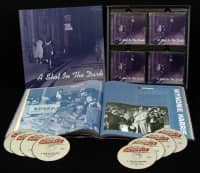 But why stop with mere sound The Cold War was a multimedia horror show and 'Atomic Platters' tops off its mushroom cloud of entertainment with a DVD of nine bizarre civil defense and anti-Communist short films from the '50s and '60s. Summing all this strange material up is a 292 page hardcover book featuring numerous arresting images from the Cold War era with intriguing text by Bill Geerhart of CONELRAD, an organization devoted to the preservation and examination of atomic popular culture. This collection is for anyone mystified by the current excesses of U.S. Homeland Security who wants to hear and see where the madness all began! You CAN beat the A-Bomb (again)! 02 Atomic Cocktail SLIM GAILLARD QUART. 34 Jesus Hits Like An Atom Bomb BLANCHARD, Lowell & VALLEY T.
12 Atomic Baby HAYES, Linda & RED CALLENDER..
33 The Hydrogen Bomb ROGERS, Al & ROCKY MOUNTAIN B. 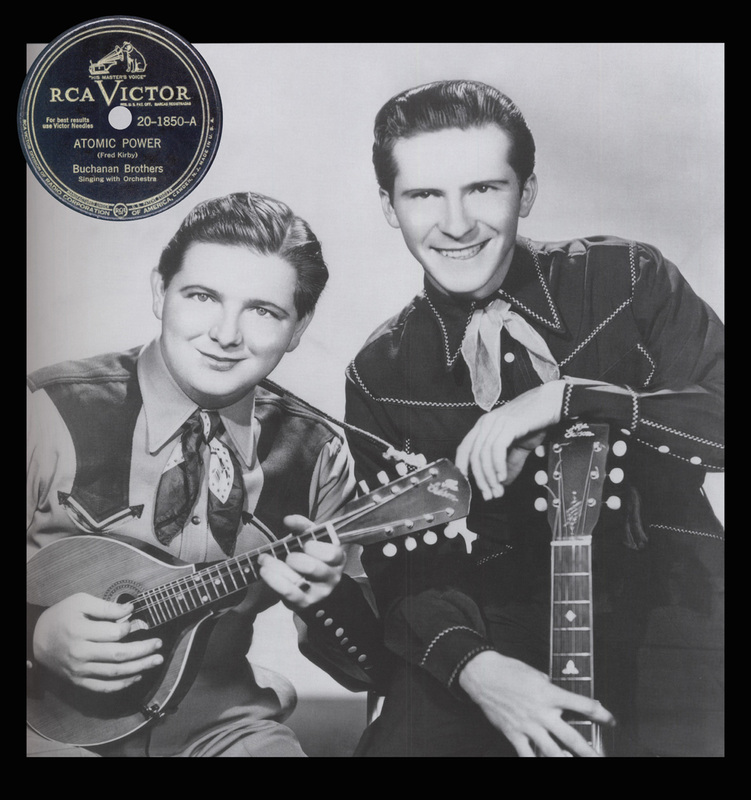 17 The Senator McCarthy Blues BLOCK, Hal & TONY BORRELLO OR. 26 Atomic Telephone SPIRIT OF MEMPHIS QUART. 02 Atomic Sermon HUGHES, Billy & RHYTHM BUCKER. 04 Atom And Evil GOLDEN GATE QUART. 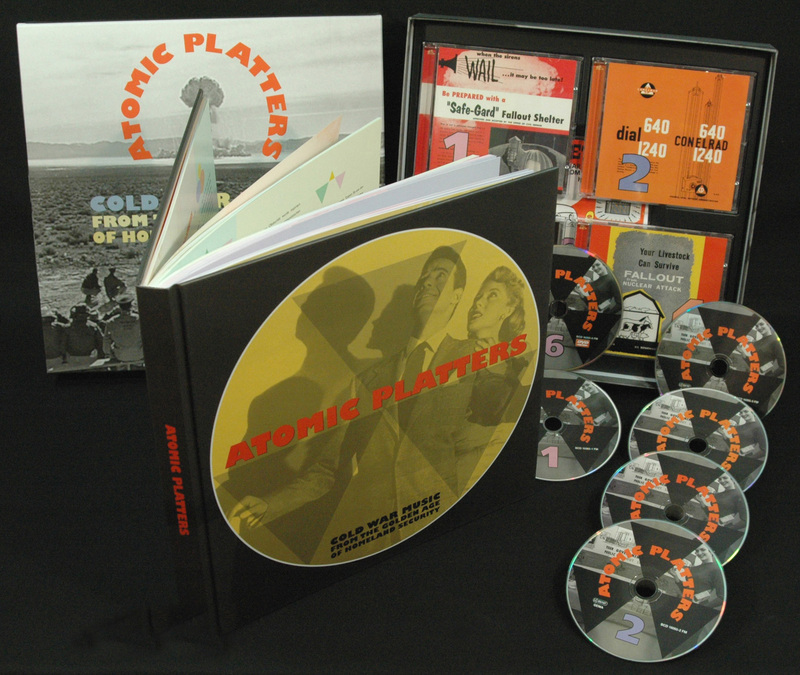 Customer evaluation for "Atomic Platters (5CD & 1DVD mit 292-seitigem gebundenem Buch in LP-Grösse)"
Truly a mind-blowing collection. Lots and lots of interesting stuff: the music, the videos and the wonderfully illustrated book. One can feel the Cold War atmosphere oozing from this set. Not recommending it would be a crime against humanity. Atomic Platters heisst eine phantastische, in dieser Art einmalige Kassette (vier CDs, 1 DVD plus 292 Seiten starke, opulent illustrierte Buch-Dokumentation), die soeben bei Bear Family erschienen ist. 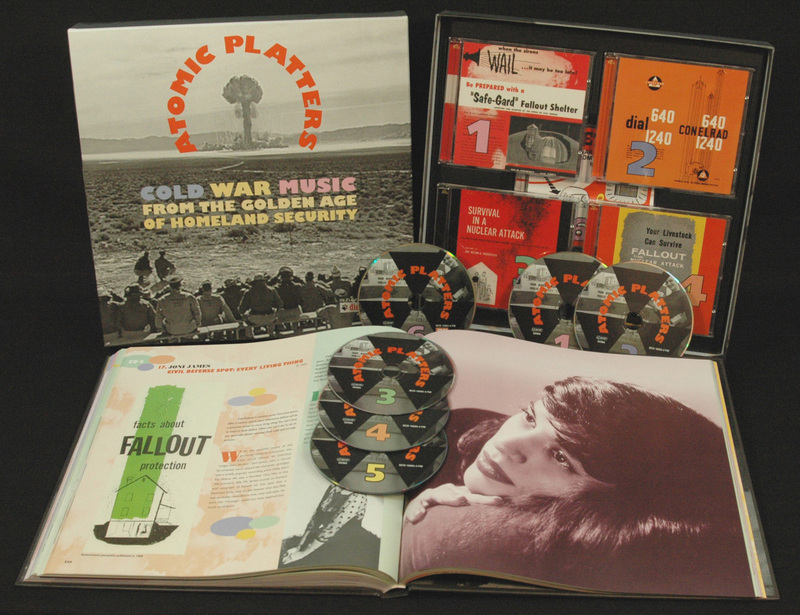 Atomic Platters, an exhaustive six-disc box set of Fifties Cold War tunes and short films, shows just how goofy the paranoia was. 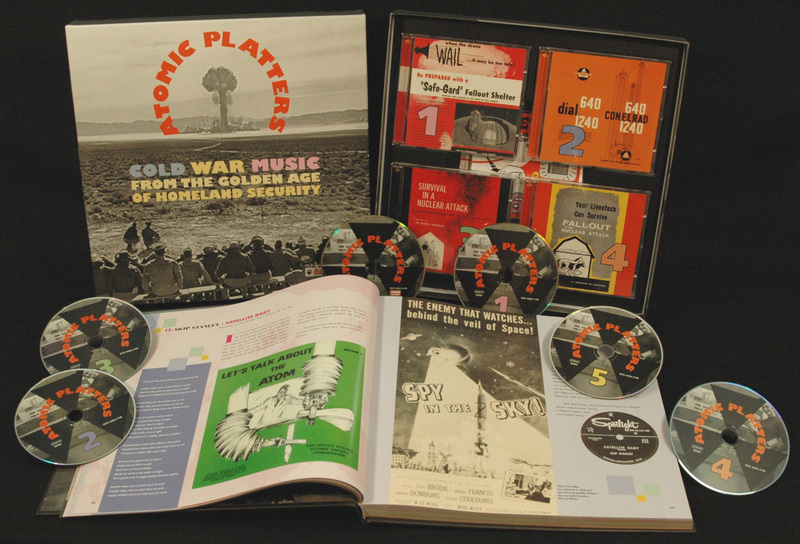 Five CDs and a DVD tell the definitive story of post-war nuclear paranoia from 1945 - 1969. 28 Civil Defense Spot: Don't Use The Phone!